Why is it that we so often dream of lands afar, but fail to see what is so close to us? That’s the case with me and much of Britain. Ever since I was about 13, I’ve been travelling alone abroad and planning my next adventure, but it took a long time for me to finally get an appetite for what lay on my own doorstep. I went to Wales for the first time about five years ago, and it’s only in the past two years that I’ve started to tick off some of the UK’s big cities, like Manchester, Liverpool and York. 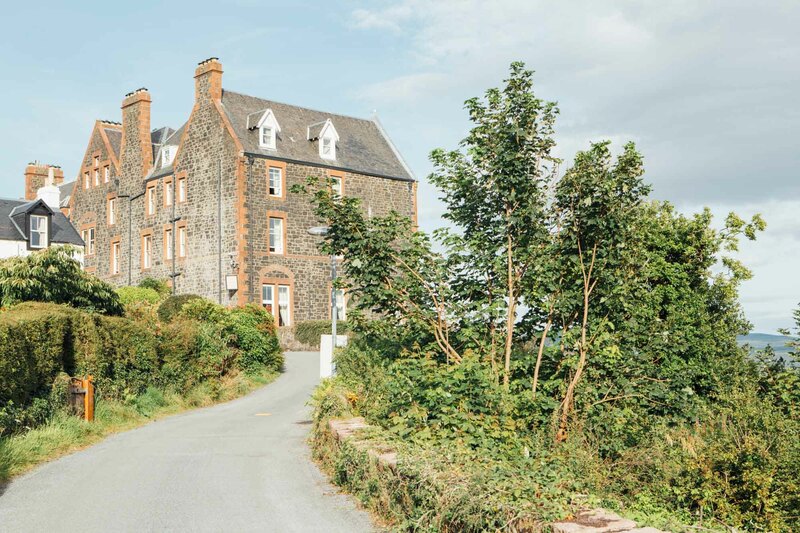 In Scotland, up until recently, I had only been to Edinburgh, Glasgow and a teeny village called Eskdalemuir where I visited a Buddhist monastery. But the Scottish Isles enticed me, especially after reading Amy Liptrot’s Outrun earlier this year. So when SotRail invited Steve and I to take a trip, I was delighted to oblige. 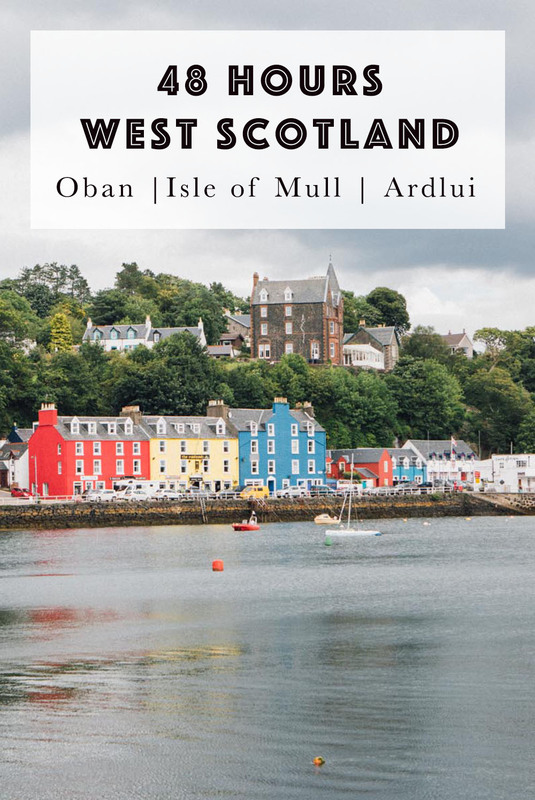 Taking in Oban, the Isle of Mull and Ardlui, the three-day trip would give a taste of western Scotland and the sights I’d missed over the years. If you’re tempted to replicate our trip, here’s a breakdown of what we did. We did a round trip from Glasgow, travelling on a Rail & Sail pass, which combines rail and ferry travel into one ticket. The rail journey itself is stunning, among the most beautiful I’ve ever travelled. 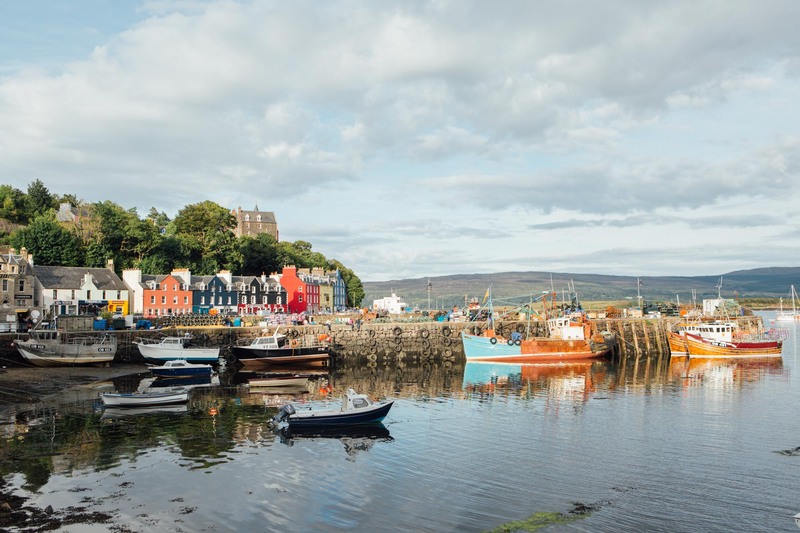 Starting in Glasgow, we made the journey to Tobermory, stopping in Oban along the way. 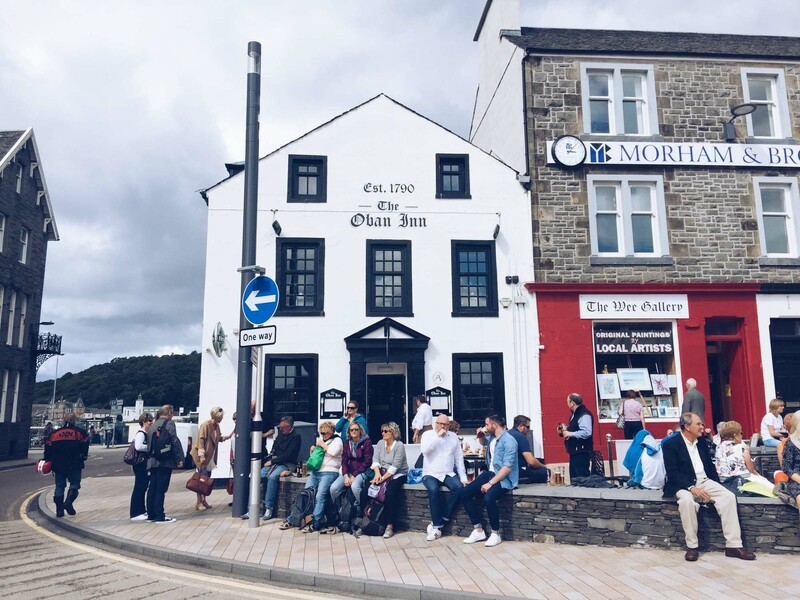 We did this in one go, but you could also extend your trip to spend a night in Oban, which would be worthwhile as the charming waterfront town has plenty to offer and is beautiful place to spend some time. It’s the gateway to many of the Hebridean islands, so was busy with tourists when we visited in August, but still managed to retain its charm. 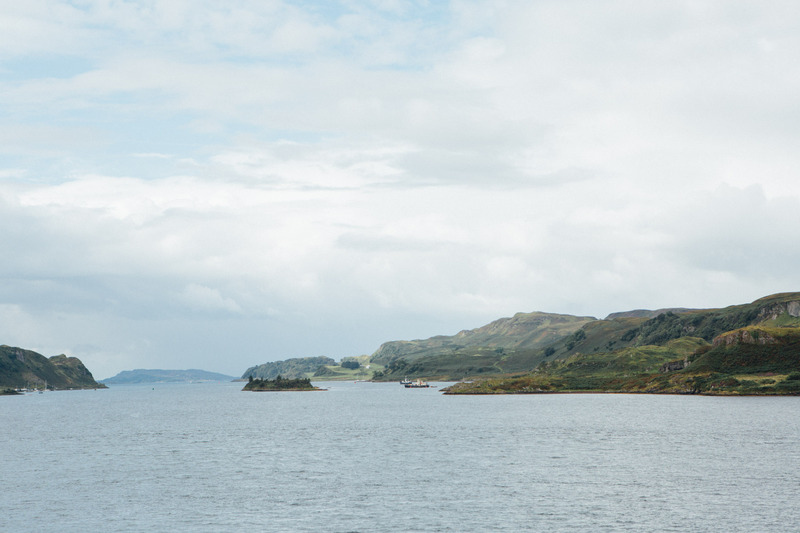 We spent our time there having lunch and climbing the hill to McCaig’s tower, a striking monument with sweeping views across the bay out to Mull. It was a steep 20-minute walk that I was able to do while four months pregnant. 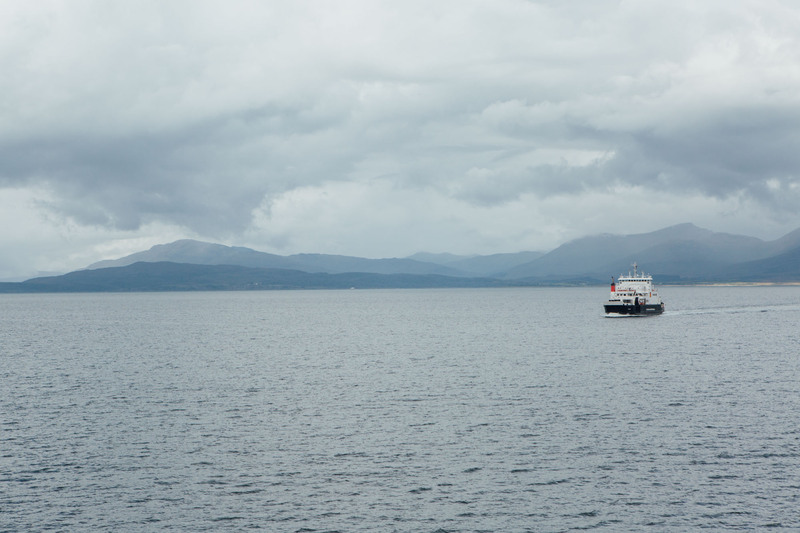 From Oban, we took the ferry to Craignure and a bus to Tobermory. 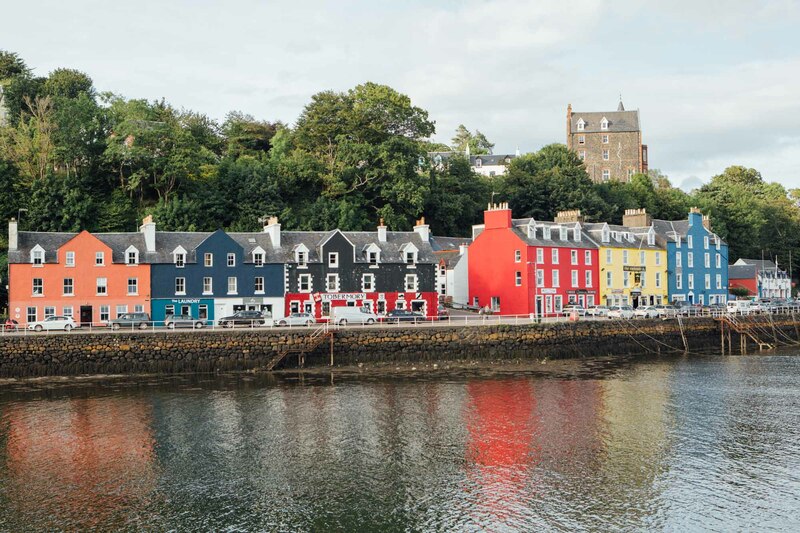 The fishing village is known for its colourful houses and was the setting for a popular children’s TV programme called Balamory. It’s a tiny place that packs in a lot of character and has plenty of opportunity for relaxing walks in the abundant natural surrounds. Popular options include a trundle to the lighthouse, Aros Park or the Glengorm Estate. 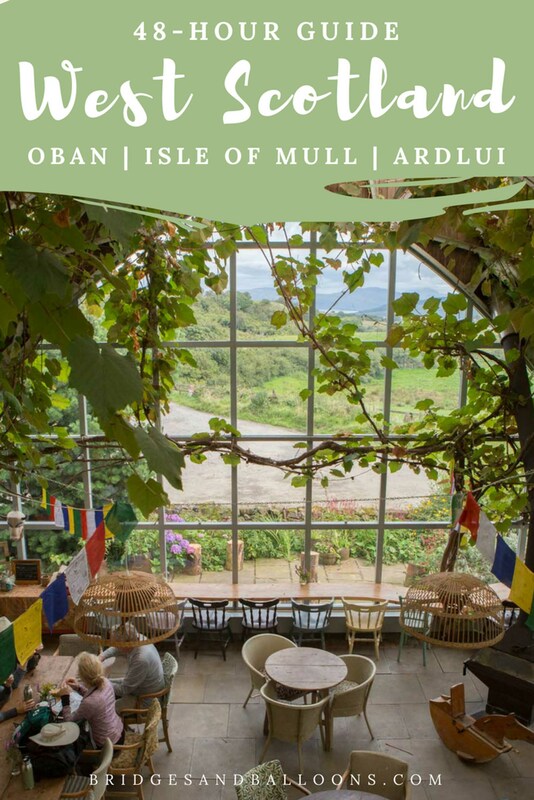 We walked up to the Isle of Mull cheese farm where they have an impressive glass-fronted cafe with views across the island. Unfortunately, we didn’t time our visit precisely enough to do this, but if we had more time or had time-managed better, we’d have liked to take a nature tour, either on land or at sea. There are a few different options, from two-hour trips to day-long adventures where you can explore the island’s wildlife, which includes otters, eagles, and even whales and sharks at the right time of year. 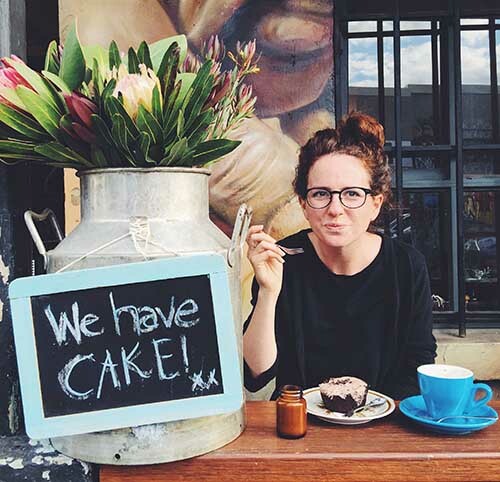 The tours have limited availability and don’t run every day, so be sure to plan and book yours in advance. There are different options listed on the Explore Tobermory website. 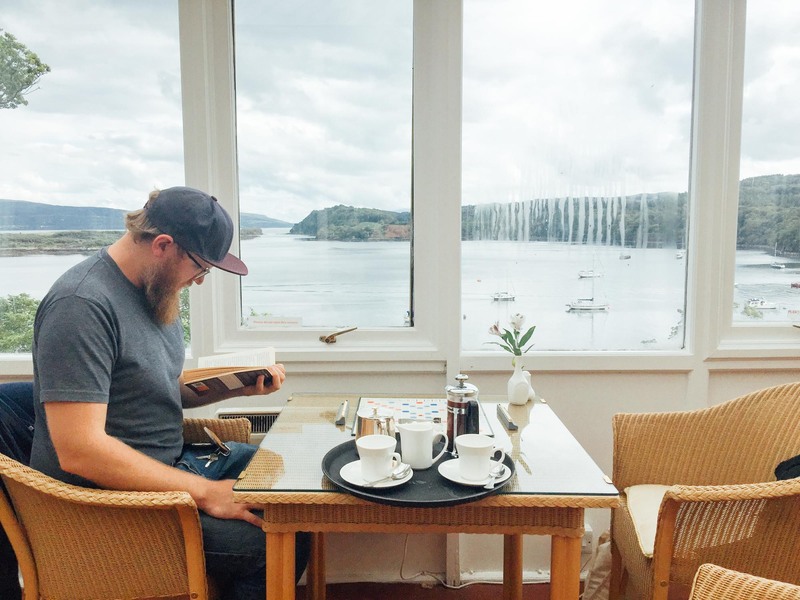 We stayed at the Western Isles Hotel in Tobermory, an old fashioned 19th-century hotel with fantastic views across the bay. 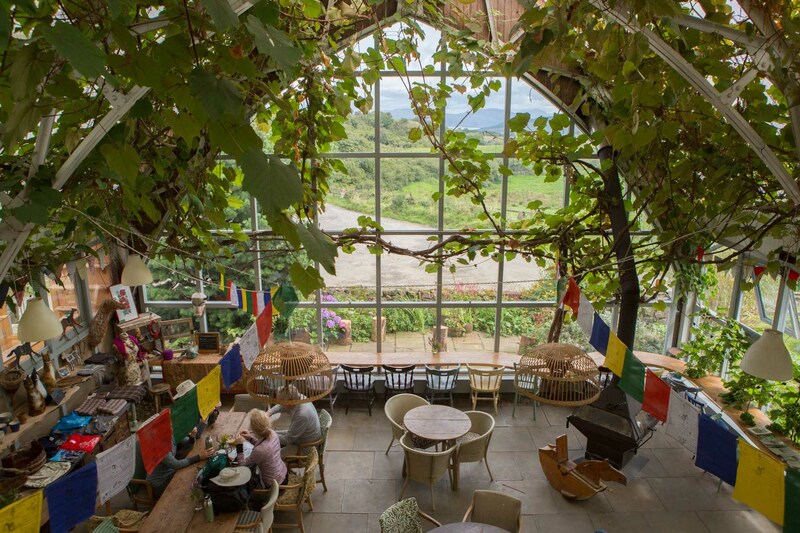 The Orangerie Restaurant is a particularly splendid place to wile away some time and enjoy dinner or coffee with a view. There’s a also a cosy lounge area where we enjoyed some live music on the night of our stay. The hotel is up quite a steep hill and about a 15-minute walk from the bus stop. 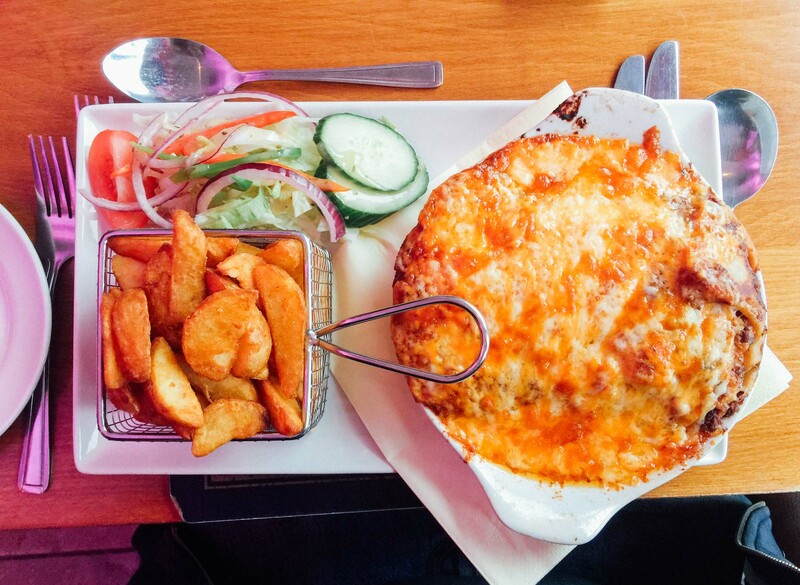 We ate lunch at the Oban Inn, a traditional Scottish pub, which had a few good veggie options. There were plenty of other options too, including lots of fish and chip shops, which the area is known for. The Oban Seafood Hut is apparently a must for seafood lovers. 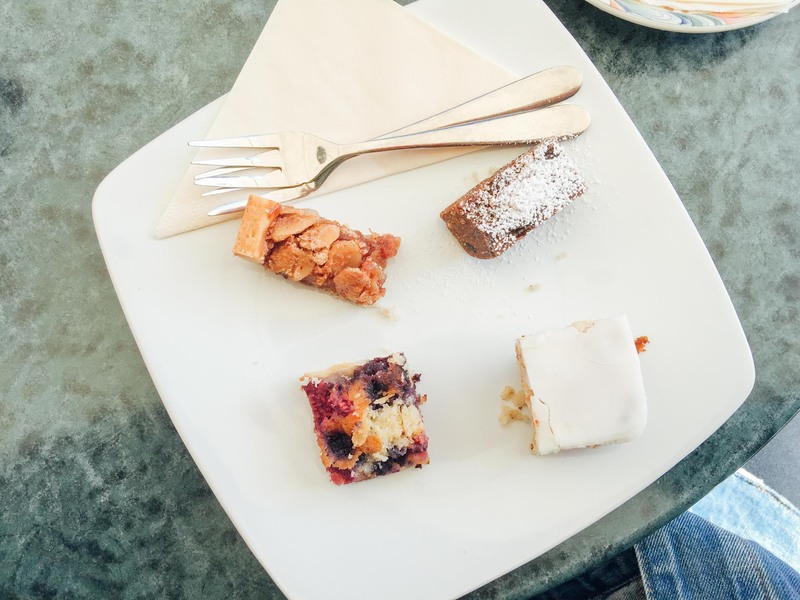 In Oban, we also stopped for coffee and cake at Julie’s Coffee House where I was delighted to find that you could order a selection of small cake pieces if you couldn’t pick just one. 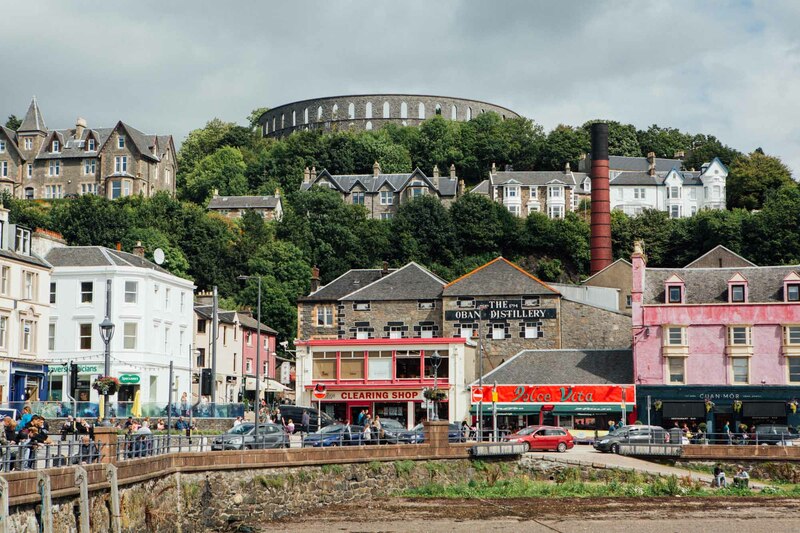 The Oban Distillery is just opposite, which you could visit if you have the time. In Tobermory, we ate dinner at our hotel, The Western Isles. The vegetarian selection was limited, but at least they had something, which is more than can be said for lots of the places we encountered along the way! For meat and seafood eaters, the selection was extensive. Be warned, western Scotland is not the easiest place to be vegetarian! The train from Glasgow Queen Street to Oban takes just over three hours, and trains leave every two-four hours. We got the 08:21, arriving into Oban at 11:27, which allowed us time for lunch and a walk up McCaig’s Tower before catching the ferry. 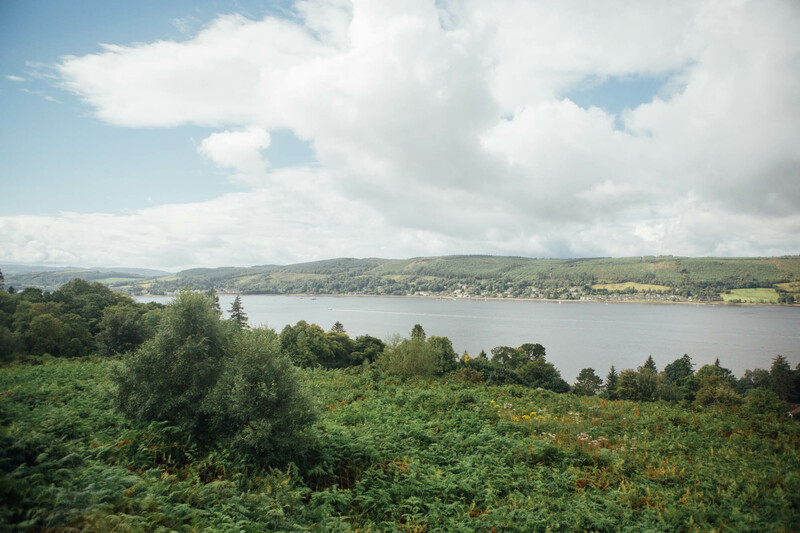 The train journey is stunning, taking in a stream of magnificent lochs, forests, hills and mountains. The ferry journey from Oban to Craignure on the Isle of Mull takes 50 minutes or so, and cars are taken as well as foot passengers. There are a few cafes/restaurants on board, but we sat outside on the viewing deck to enjoy the fresh air and spectacular island views. The ferries leave every one-two hours during the summer. 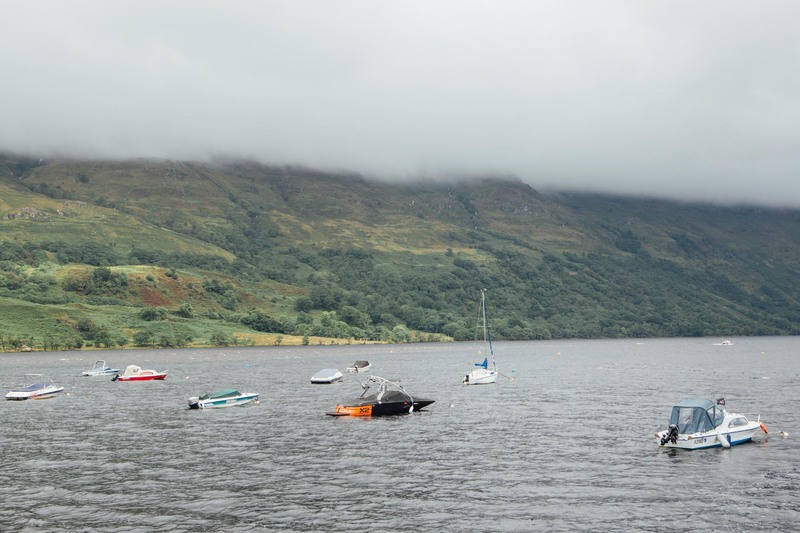 Our second day was spent travelling to and enjoying Ardlui, a tiny hamlet on the shores of Loch Lomond. The weather had turned and in place of sunny skies, the day was was cloudy, misty and wet, reminding us of the climate Scotland is famed for. 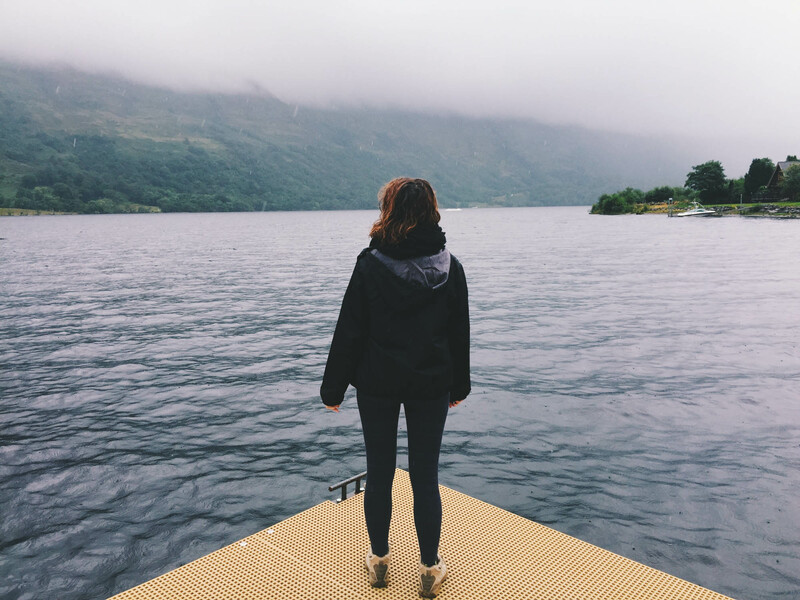 For some, the irregularity of the weather may be off-putting, but it’s part and parcel of Scotland’s beauty and the mist upon the loch was a magical sight to see. Ardlui is great for outdoor adventures. Set on the West Highland Way, we saw plenty of walkers passing through. There’s a wakeboard and wakesurf school right next to the Ardlui Hotel, and you can also take trips on boats, canoes and sea planes. 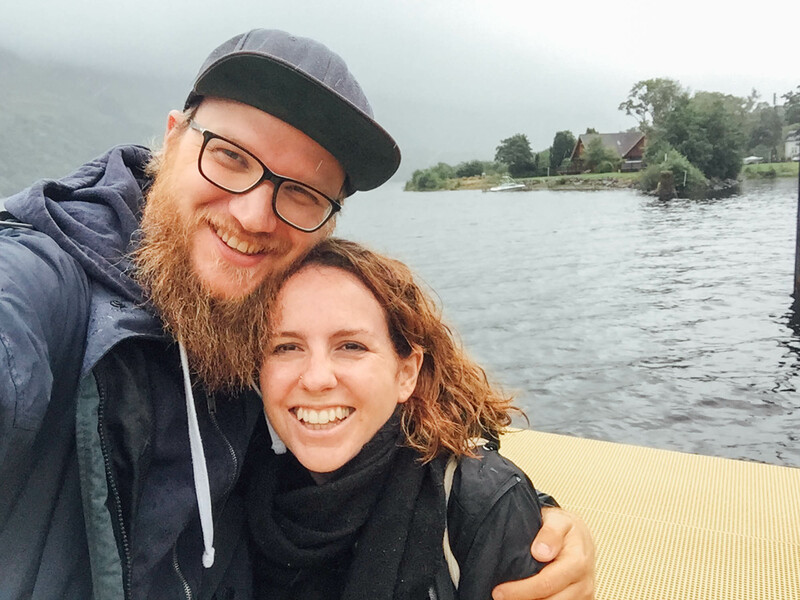 We spent our time doing a short hike along the loch before returning to the the hotel where we got cozy in the hotel bar with a card game a mug of hot chocolate while enjoying views of the loch. It’s an ideal place for relaxing amid the magnificence of nature. 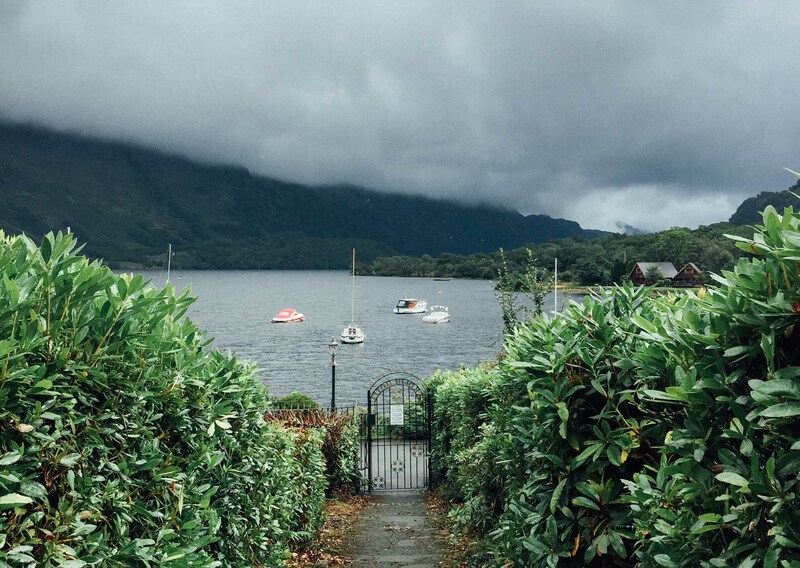 There are only two places to stay in Ardlui: the Ardlui Lochside Lodges and the Ardlui Hotel. We stayed at the latter, a country-style hotel and pub. Rooms cost around £100 per night. Some rooms come with bathtubs, but ours just had a shower. For lunch, we had just enough time between our ferry and train journey to grab some chips from a fish and chip shop in Oban, which was perfect for the train ride. Ardlui is halfway between Glasgow and Oban, so the way to Ardlui from Tobermory is the same route as the previous day, but stopping in Ardlui on the train, which is 1.5 hours from Oban. That means a bus from Tobermory to Craignure, a ferry from Craignure to Oban, and the train from Oban to Ardlui. All of the interchanges are easy and the whole journey takes about 3.5 hours. We spent our final day travelling back to Bristol via Glasgow. If you had the time, you could use this day to spend some more time in Ardlui or explore the city of Glasgow. The train ticket allows you to travel at any time. We travelled with a Rail & Sail pass, which combines rail and ferry travel in one ticket. Our ticket was for Glasgow to Craignure, and the return journey was valid for up to a month from the day of departure. You don’t need to book your seats on the trains or ferry in advance, although I’d advice arriving a little early to get your train as the seats fill up quickly. One benefit of the Rail & Sail ticket is that you get to skip the queue for a ferry ticket, and jump straight on instead. 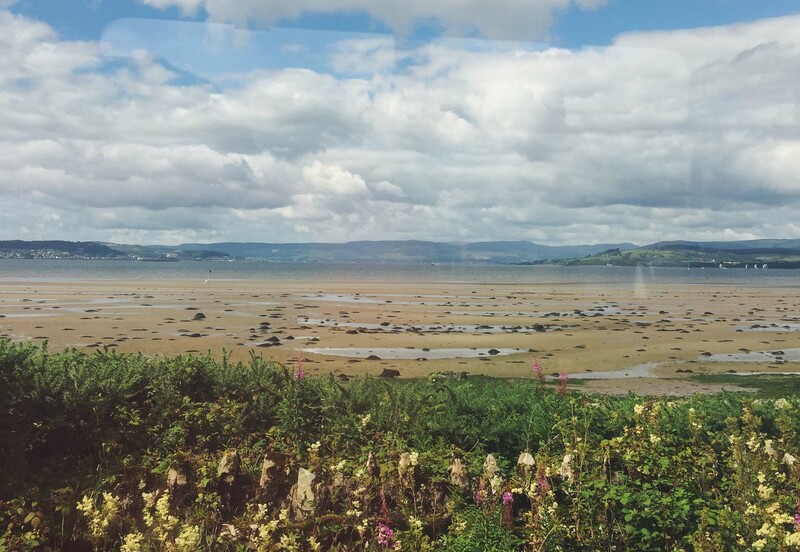 Disclosure: We were invited to Scotland by ScotRail to try their Rail & Sail pass and write about it for their own blog. I wasn’t required to write this blog post on Bridges and Balloons and all views, as always, are my own. Thanks for the rail and sail info! I’ll be traveling Glasgow to Mull next week!